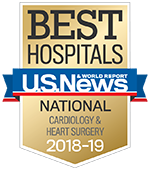 The U-M Frankel Cardiovascular Center places high value on educating our patients about their cardiovascular health through comprehensive classes and seminars. Designed to meet the individual needs of patients and visitors alike, our services will help enhance your health and well-being. View or Download the Support Groups for Patients & Family at the Frankel Cardiovascular Center PDF for a complete listing of support groups or visit the Events and Support Groups page for more information.